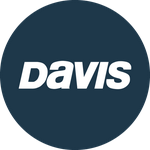 Davis Instruments Support, FAQs and Troubleshooting - How do I create an account on WeatherLink.com 2.0? All Categories ​>​ FAQ ​>​ WeatherLink.com ​>​ How do I create an account on WeatherLink.com 2.0? Simply visit https://www.weatherlink.com, type your email into the field, click 'Sign Up' button and follow the instructions.